Sports games are always fun because its help players satisfy the passion for sports on mobile devices. 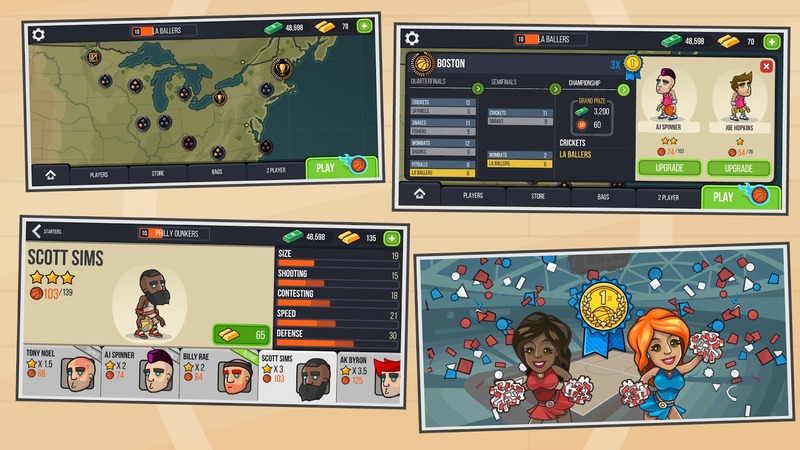 Therefore, the publisher DoubleTap Software has released Basketball Battle to be able to serve players who prefer sports in general and basketball in particular. Being a popular sport in some countries like China, South Korea, the Philippines and especially the United States, although not popular with football, there is no denying the passionate enthusiasm that players have for this sport. The rules of Basketball Battle are quite simple. All you need to do is put the ball into the opponent’s basket in a legal manner and at the same time prevent the opponent from throwing the ball into your basket. Basketball is a team sport but in this game there are 1v1 matches. 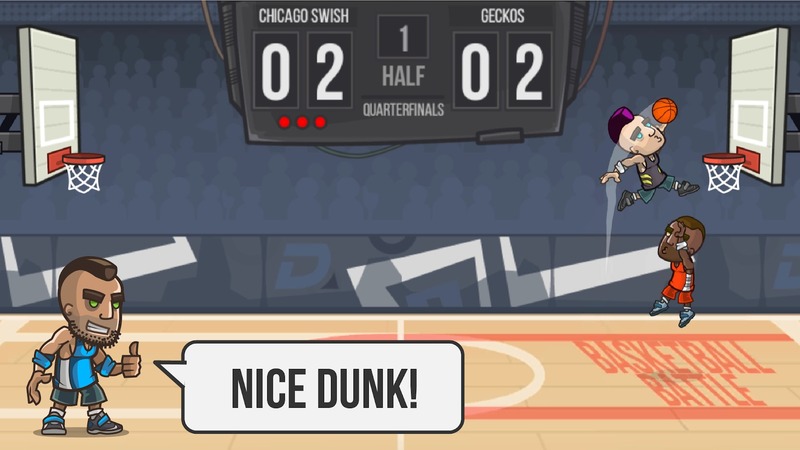 Basketball Battle is a real sports game that puts gamers in attractive basketball games. Here you have to do many things from moving your players, take the ball and hit the ball into the opponent’s basket. Initially, when you are not familiar with the gameplay, you will be practising alone with the move and throw the ball in many different distances. Once you have mastered it, you will be able to play against the AI to test your skills. It is not easy to win, but to win is not easy. After each match, you will receive some money and then you can use them to buy or upgrade your players. There are two ways you can buy players that use money or use gold. Money can be easily earned, but gold is pretty rare and it can help you unlock the top superstars in the world. Each player has basic stats including Size, Speed, Shooting, Contesting, and Defense. Also similar to FIFA or PES, the player’s skill is represented by the star number of the player. Basketball Battle possesses a fairly simple gameplay with basic operations and you only need to practice a few times to be able to master it. However, to use these skills perfectly, you need to practice a lot. If you have confidence in yourself, PvP is the mode you can join and challenge other players. When participating in the matches you need to pay attention to the physical of the players. If they are tired, they not going to make the jump and play so you have to give the player a little rest to regain energy. When they are dehydrated and too exhausted, your only option is to replace the player from the bench on the field. Each player has their own skills with different strengths and weaknesses. One point I like about this game is that each match is played in a few minutes, so you can play anywhere, anytime even when only 10 minutes free. If you are in a place where there is no Wifi or internet connection, then you can still experience the game in Offline mode. However, real-time PvP mode is the main and most interesting mode of Basketball Battle. This is where you can play with friends or any player around the world. Beside the exciting gameplay, the graphics of Basketball Battle are quite comical. The players are designed like puppets but can move quite flexible and sometimes do impressive skills. I am quite impressed with the simple and intuitive interface of the game. There are quite a few basketball games in the mobile gaming market, so Basketball Battle will be an interesting choice if you love the sport. The game is available for both iOS and Android operating systems, allowing you to download and install it for free. Note: Some items in the game can be purchased by cash. Basketball Battle MOD requires Android OS 4.1 or higher, 1GB RAM and you don’t need to Root the device before installing. Basketball Battle MOD APK is ready to download! 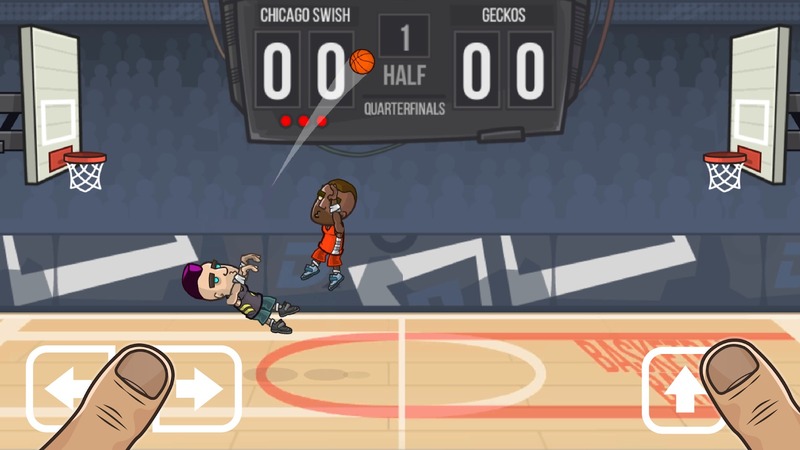 Depending on your needs, you can download Basketball Battle MOD APK or Basketball Battle Original APK. Or install from Google Play / App Store if you want.